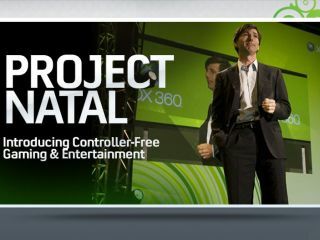 Microsoft CEO Steve Ballmer has confirmed that a Natal equipped Xbox 360 console will be releasing in 2010, speaking at The Executive's Club of Chicago this week. Ballmer said that the new Xbox 360 will feature tech "really close" to an actuality, with its built in motion sensing cam and "natural interface," reports TG Daily. "Yes, we have looked at that, but we haven't announced any details for something like that." 1-Up confirms the reports noting that Ballmer's recent "allusions to the details that suggest this is the Xbox Natal that we reported on late last week." You can see that earlier report over on 1-Up for all the details.